In order to gain your PCV driving license you will first have to apply for your provisional driving license, then pass both parts of the theory test either together or within two years of each other and then once all these are successfully completed you can then go on to start your practical training for your PCV license. A bus driving career is a good career move however it isn’t suitable for everyone, you have to be safe at driving a large commercial vehicle and you will have to have good concentration levels, good knowledge, patience and you must have the ability to be flexible. If you do possess all of these qualities then you could go on to have a very good career indeed. So if you have decided that bus driving is the right career for you then congratulations you have chosen well. Some training companies will get you trained up in just a few weeks which would be great news if the right job comes your way at the same time. Your training covers all of these areas so you have the very best chance at successfully passing each of the four tests listed. It used to be the case that once you gained your PCV license no further training was needed however changes have now been made so that even if you do gain your PCV license your training will continue as long as you continue to be a bus driver. 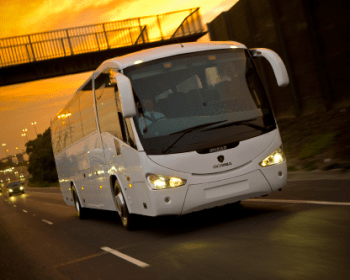 Training to become a bus driver doesn’t have to be costly, however be careful as many training companies can be quite expensive but there are good ones out there who will train you up to a high standard for a reasonable cost. In most of Europe and indeed North America there are bus driver shortages and here in the UK people are finding it difficult to become bus drivers because of how expensive it can be to be trained. Like I mentioned there are good companies out there who will try and keep costs down in order for you to train. The cost of training is difficult to pin point down as different courses will cost different amounts. There are plenty of good training companies across the UK so there is bound to be one close to where you are based, however make sure they are CPC approved as a training centre. Remember your bus driver training has been designed so that you become a fully competent driver of large commercial vehicles and that you feel safe when driving these large vehicles on the road. Once you have successfully completed your training you will be a safe and responsible bus driver. Well that’s about it from me, I really do hope I have helped you gain lots more info on bus driver training and all that’s involved along with the many benefits this great career brings. So good luck with your training and I hope one day you will be driving a bus professionally. Good Luck to you!